As a public power utility, OPPD must provide the best service possible to every customer. But with a diversifying service territory, many customers speak languages other than English. So how does OPPD provide service to those customers? It means OPPD Customer Service must utilize a translation service. The service is always available to representatives who field hundreds of customer calls each day. Bryant said for the past three years, OPPD has used World Wide Interpreters. The Houston-based company was founded by a former NASA engineer who worked with interpretation systems for the International Space Station. It offers translation for more than 225 languages. 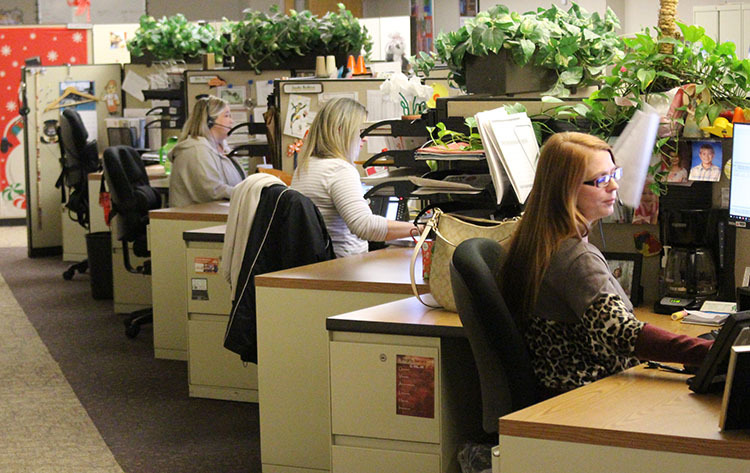 Customer Contact Center representatives handle a variety of calls from OPPD customers. 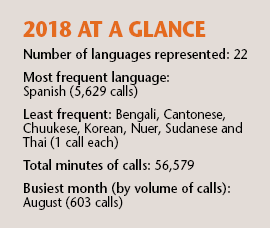 In 2018, the most widely needed translations were for Spanish calls. OPPD received hundreds each month. Customer Service had nearly 400,000 total calls that same year. About 1.5 percent of those calls required assistance from World Wide, Bryant said. Additionally, calls using interpretation services lasted 9 minutes and 41 seconds compared to 3 minutes and 43 seconds for calls that did not need the service. Bryant said Customer Service employs several bilingual reps, including one from the Legacy I3 program who can help with customers who come into OPPD’s downtown headquarters. The Legacy program’s goal is to bring a more diverse group of employees into OPPD’s work force. Another Legacy student will soon be able to also help those walk-in customers. Representatives are not required to be bilingual, but it can help when customers come to OPPD’s downtown headquarters to pay their bills in-person. There are also payment kiosks in both English and Spanish in the downtown location’s lobby. Other communications, like posters, warn of scammers in both languages are visible to customers. 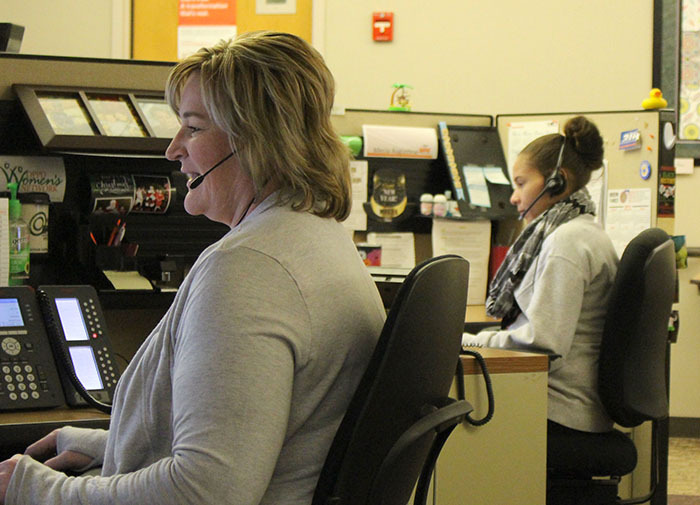 For OPPD’s Customer Service representatives the translation service has proven a valuable and easy-to-use solution for both the reps and the clients, no matter what language they speak.